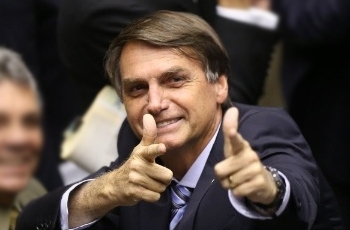 On October 29, 2018, a far-right and former army Captain, Jair Bolsonaro won the latest Brazilian Presidential election with 55.2% of the vote against 44.8% for Fernando Haddad of the left-wing Worker’s Party. Bolsonaro, who was infamous for his violent rhetoric, was charged by Brazil’s judicial system for his racist, sexist, and homophobic statements. He once said, “They don’t do anything. I don’t think they’re even good for procreation anymore,” when referring to “quilombolas,” which are the black descendants of rebel African slaves. With a Black population of 75 million, Brazil has the second highest number of Black people in the world after Nigeria. Even though Brazil is proud of its free of racism because of a “racial democracy” that doesn’t acknowledge skin color, the real story behind is much different. According to a study by the Brazilian Forum of Public Safety, Brazilian police killed more than 4,200 people last year, which were about 11 people a day and many of the victims were Black Brazilians. A 2009 study by economist Daniel Cerqueira found that twice as many Black as Whites were victims of police violence. Although the Brazilin police are already among the deadliest in the world, Bolsonaro’s approach to counter the violent crimes is to militarize Brazil’s law enforcement agencies further. He has proposed to kill alleged criminals on sight and to send military personnel to favela neighborhoods, which are the black, poor and working-class communities dominated by drug gangs. This will only increase the number of victims under police brutality. Precedent has already been set up by the Filipino President Rodrigo Duterte, who launched a “drug war” in 2016, which has resulted in the killing of more than 12,000 drug suspects so far. Brazil’s new president Jair Bolsonaro will not be a friendly political figure to the Afro-Brazilian communities, not to mention the LGBT minority in Brazil based on his previous sexist and homophobic comments. It is essential to prevent the rise of far-right ideologies in Brazil and in the rest of the world because they led to Bolsonaro’s victory. Actions should be taken before more far-right leaders are being elected.